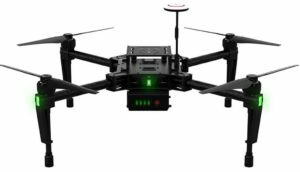 The Matrice 100 drone can be programmed using the DJI Special Development and Guidance Visual Sensing System. This Matrice 100 review looks at the technology, specifications and features of this modular and adaptable programmable sensor drone. This Matrice drone is designed with the developer in mind. It will allow developers from all sectors to use the Matrice 100 as a platform to create new hardware and software applications and solve real life problems. The Matrice 100 is a dual system. 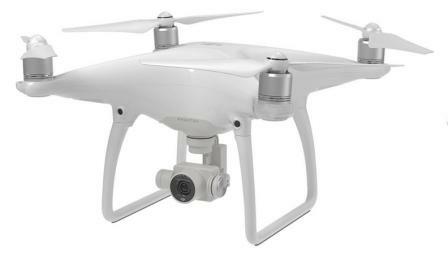 You have the quadcopter and also the guidance visual sensing system as an add on. It’s ready to fly straight out of the box. The real benefit is in using the interface between the Matrice 100 and the DJI SDK to create new aerial solutions. This quadcopter has sensors, a collision avoidance system and has tremendous options to customize. Because the Matrice 100 is highly advanced and very customizable, it gives developers and engineers flexibility to be creative. You customize and create solutions using the Matrice 100, the Guidance Vision Sensing System and the DJI Special Development Kit. The Matrice 100 is perfect for developing solutions in sectors which use photogrammetry, lidar, thermal and multispectral sensors. Here is a terrific article which provides you with a list of best drone uses across all the sectors. DJI didn’t just design the Matrice 100 for customers. 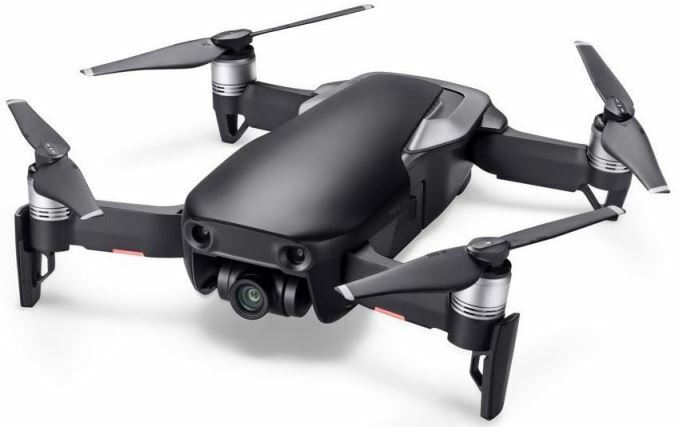 Their own design and engineering teams used the Matrice 100 in the development and design of their latest highly innovative drone, the Mavic Pro. The new N1 flight controller keeps the Matrice 100 flying extremely stable and at the same allowing for perfect responses to your flying commands on every flight. If using the DJI’s X3 Camera and gimbal, you can receive live HD view from a flight range of 1.2 miles (2 km) through the integrated DJI Lightbridge system. With the additional empty bays, you can customize the payload and fly with any devices you want such as cameras, sensors, boards, communication systems and gather data while completing complex missions using first person view. Guidance is a powerful visual sensing system. When flying, the Guidance system sees all around and stops the Matrice from crashing into trees, buildings, walls, cars and people. It has an extremely powerful processing core, top integrated visual cameras, the best of ultrasonic sensors and the most advanced computer vision algorithm every programmed. Guidance protect the Matrice 100 platform and gives you confidence knowing you have a flying platform that is extremely safe. It has five sensory modules and one central processor. Using the SDK, this programmable drone together with collision avoidance vision sensors will allow you to create new innovative solutions for many sectors. I have more detailed information on Guidance further down this article. Connect and fly with a range of devices and transmit data to the ground in real time. The Matrice 100 has two parallel CAN ports for connecting devices including the Guidance sensor system. There are two parallel UART ports for connecting third party components. Add an additional battery compartment to achieve up to 40 minutes of flight time depending on payload. 40 minutes of flight time is with the minimum of hardware attached and using 2 batteries. The Matrice drone allows you to achieve maximum balance by allowing the battery and other compartments to be moved around the body. This flexibility allows you increase payload but at the same time allowing for balanced flying. The Zenmuse X3 gimbal is compatible with the Matrice 100. The Zenmuse X5 gimbal needs an extra installation kit. 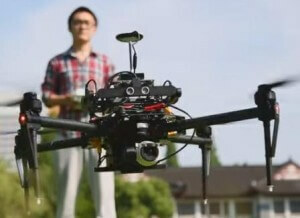 DJI are number 1 in the market for aerial gimbals and integrated cameras. DJI specifically manufacture gimbals and cameras for their drones. The DJI Zenmuse Z30 is the most powerful integrated aerial zoom camera on the market with a stunning 30x optical and 6x digital zoom for a total magnification up to 180x. Whether you are inspecting cellphone masts or wind turbines, this Zenmuse Z30 zoom camera enables you to get a very detailed look at structures, wires, modules and components to detect damage. As a result of letting you conduct inspections from a distance without the need to fly close, not only is speed and efficiency of your operations increased but risk of collision is obviated. The Zenmuse Z30 is compatible for both the DJI Matrice 100 and Matrice 600 drones. Both of these are commercial and professional drones. 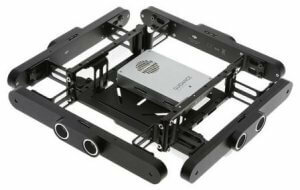 The Matrice 600 Pro is a real professional film makers dream and is compatible with many Zenmuse gimbals and cameras. 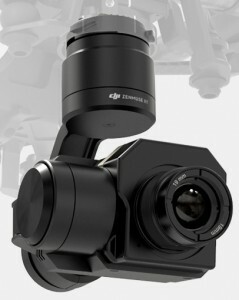 One of the most recent accessories for the Matrice 100 is an integrated DJI gimbal and thermal imaging sensor from FLIR. This Zenmuse XT was announced in early December 2015. The thermal imaging sensor provides accurate temperature measurements ideal for analytics and telemetry. The FLIR thermal vision camera provides details invisible to the eye by making subtle differences in temperature visible. This gives a tremendous range of new uses for the Matrice 100 such as revealing when equipment or buildings are damaged, the location of lost people and much more. Along with the Zenmuse XT, you receive full enhancement software. View this video of a Matrice 100, XT gimbal with Flir Tau 2 thermal camera test flight. There is also some great questions and answers in the comments section of the video. Increase yaw torque and greater response time by tilting the arms to a 3 degree angle. Making this adjustment to each of the arms is quick and easy. The Matrice 100 is made with carbon fiber making it light and strong. Each of the arms contain a new soft vibration pillowed material which almost completely eliminates feedback from the powerful motors. These keeps the critical components and payload stable and allowing unprecedented flying and data capture accuracy. The Matrice 100 remote controller has a operating distance of up to 1.2 miles (2 km). It is customizable, has fully adjustable controls and allows you to connect to your mobile device. The Matrice 100 now uses the DJI Go app which is rich in features. Fly in FPV, control your cameras, sensors and devices, access a real-time map, and more by simply plugging in your tablet or smartphone. Don’t forget, you can also create your own app with the DJI SDK. The GPS signal is enhanced allowing you to track your Matrice 100’s position in real time. This improved GPS system enables faster satellite acquisition along with more accurate positioning. The Matrice 100 has 4 powerful, brushless motors. DJI took the E800 EPS motors and improved them. These E800 EPS Motors are integrated into the platform, giving you complete control during flight. These motors give the Matrice 100 extra strength to carry a flexible payload. This Programmable platform is priced very competitively and you can find the latest price for the Matrice 100 with Guidance System here. Here a a couple of tremendous videos showing you the DJI Matrice 100 SDK drone with the Guidance Visual Sensing System in action. This is the 2nd part of the Matrice 100. The DJI Guidance system is an add on which is practically essential for developing any kind of collision avoidance systems or autonomous flight solution. The Guidance is a totally new visual sensing system. It has inbuilt visual cameras, extremely powerful ultrasonic sensors and one of most advanced computer vision algorithms ever developed. This Guidance system will protect your Matrice 100. Guidance has five sensor modules and one central processor and using the SDK level 2 will allow you to program and create advanced sensing applications. Without GPS, this guidance system will achieve hovering accuracy to within centimeters. When the Matrice 100 is flying at high speed, its high-precision algorithm will still provide positioning information in almost any terrain or environment. This vision positioning system works at a height of up to 65 feet (20 meters). The Guidance system is continuously scanning in every direction and detects obstacles in real time. Using a DJI flight controller, the Guidance sensors inform your flight system to automatically avoid all obstacles including trees, buildings, walls, cars and people, even at high speeds. Guidance is fully compatible with the DJI SDK and supports multiple interfaces for easy data export. Developers are free to program the Matrice 100 and create customized applications and expand the use of Guidance’s visual and ultrasonic sensors to suit any need. The DJI SDK allows you to create applications for all of the DJI’s latest range. It is perfect for the Matrice 100. The SDK is the software gateway to interact with the Matrice 100 and to create solutions for your needs. As a programmer or developer, the software development kit allows you to communicate with components within the drone. It allows for communication with the flight system, the Guidance visual sensing system, the gimbal, the camera and other components so that you can develop applications to have your Matrice 100 working the way you want it to. You can program customized commands; tell it how and where to fly; how to use the camera and sensors; what to do with sensor data and gather information from the entire system in real time. With creativity and imagination, the possibilities are endless. There are 2 levels of SDK. Level 1 is open to everyone and allows you to work with the gimbal and camera for example. With Level 2, you get to work closely with DJI and will have access to the entire platform. This is also to insure that new applications are safe and reliable which is vitally important. There are some big names already using the Matrice 100 programmable drone with SDK such as Pix4D and Drone Deploy. Watch the below video which will give you a terrific overview and some examples on how the DJI SDK programmable drone is presently being used.